The most experimental story told at this year's Sundance Film Festival in Park City, Utah wasn't just on a movie screen. Pandemic 1.0, a transmedia project including film, phones, actors, interaction, tweets and multitouch, made the entire town its set. Pandemic, the creation of writer and director Lance Weiler, is the story of a mysterious viral outbreak in Park City, making 40,000 Sundance attendants its actors (many, presumably, unwittingly). 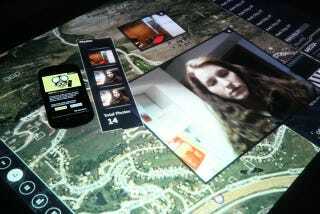 The players on the ground used NFC-equipped Nexus S's and a specially developed Microsoft Surface display to find artifacts around the city, sometimes directed by online participants working remotely and piecing the story together all the while. Actors were given scripts of tweets to send over a five day period, encouraged to improvise from those leads.